Date Palm Country Club. Golf Date Palm California. Date Palm golf course details and information about Date Palm Country Club in Cathedral City, California. The Date Palm Country Club has a public, 18-hole, par 58, executive style golf course. The Date Palm golf course includes lakes, sand traps, sloping hills, and breathtaking fairways. It has beautiful, panoramic views of the mountains while you play. In addition to golf, Date Palm in Cathedral City also has amazing amenities. It features 3 club houses, 5 swimming pools, a spa, a gym, saunas, and tennis courts. There is also a variety of shopping, dining, and local attractions available nearby Date Palm. 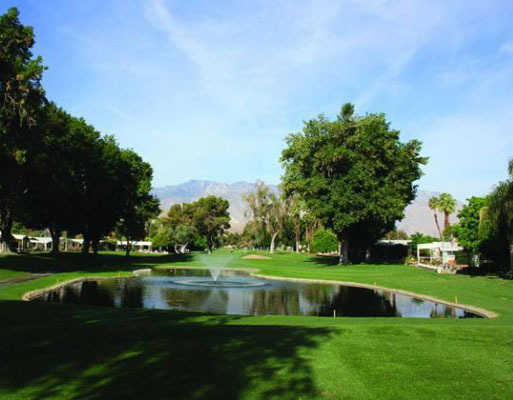 For details on another public golf course nearby in Palm Desert, check out Palm Desert Country Club.